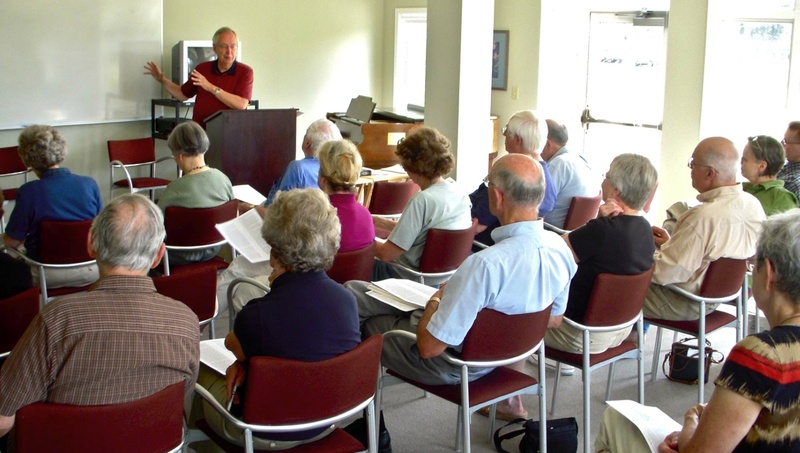 In the spirit of “life-long learning,” the Cannon Valley Elder Collegium provides high quality academic experiences in the liberal arts for students over age fifty (retired or not). We are based in the town of Northfield, Minnesota, a community of 20,000 residents, rich in educational resources with two nationally-ranked liberal arts colleges—Carleton and St. Olaf—and outstanding K-12 schools and community education programs. The city also is home for an increasing number of retirees who are attracted by the wide range of cultural opportunities available in a small town setting. The faculty members of the Collegium, predominantly retirees themselves, include emeriti faculty from the colleges and retired public school teachers. Our students live predominantly in Northfield and nearby towns, though some commute from as far away as the Twin Cities and Rochester. The program encourages collaborative leadership — all participants (faculty and students) have opportunities to take part in forming policy, deciding course offerings, selecting instructors, and evaluating courses.